Type and Characteristics: Barquentine-rigged steam cutter built by Alexander Stephen & Son, Dundee, Scotland as a whaler and sealer for W Grieve of Greenock, Scotland, hull reinforced for light ice, launched and completed 1874, 703 tons displacement, 198ft 4in long x 30ft beam x 17ft 11in draft, compound-expansion steam, 25-5/8in and 50in diameter x 30in stroke, 101 nominal hp. 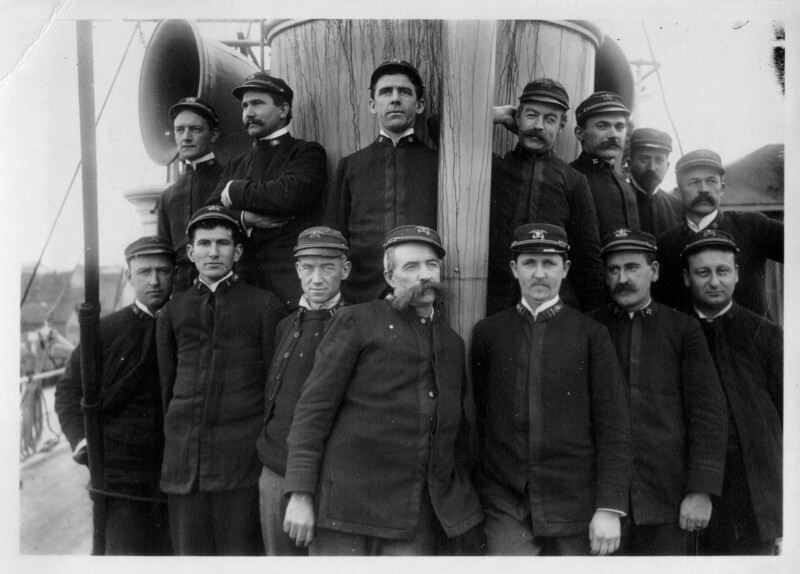 Commissioned in Revenue Cutter Service 2 March 1885, armed with 3-6pdr rapid-fire guns (1885), 51 crew. 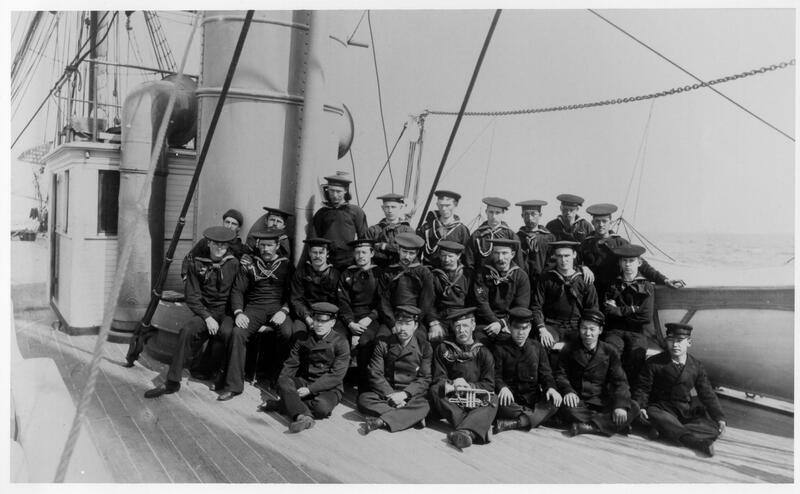 Log Period and Areas of Service: 1885-1929, Alaskan waters, World War 1 service. Sold but later served in World War 2. 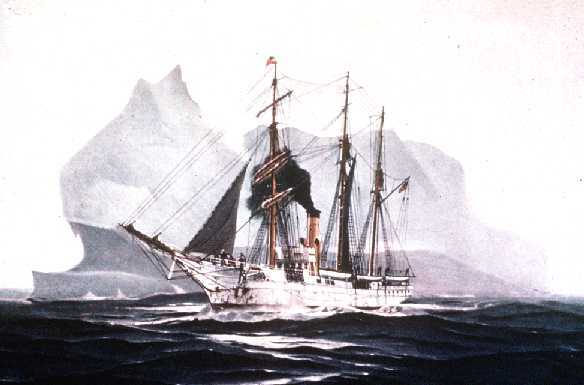 1874 - Sealing ship operating off Newfoundland. 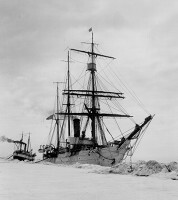 1884 - Purchased by the US Navy for Greely Arctic rescue mission. 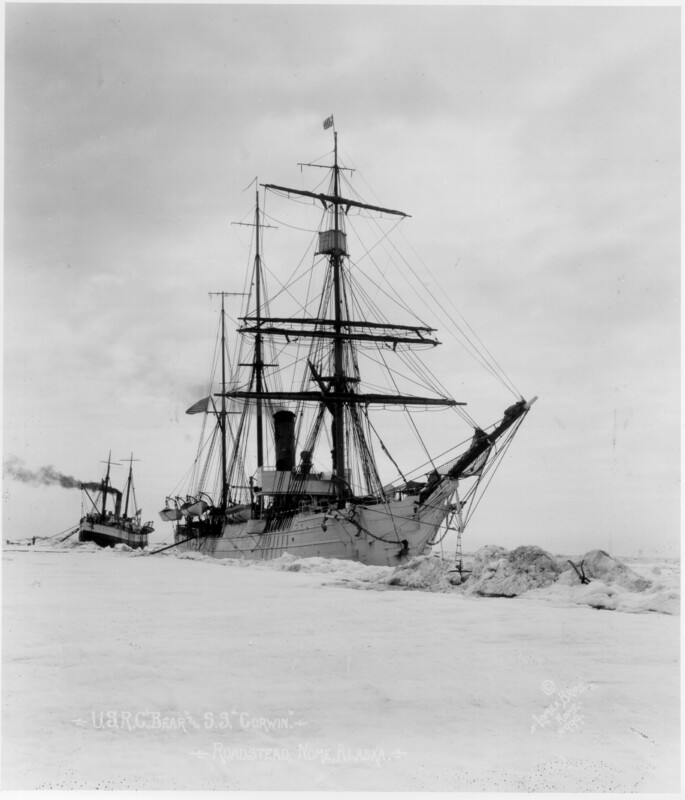 The 1881-83 Expedition commanded by First Lieutenant Adolphus Greely, US Army was one of two whose purpose was to set up meteorological observation stations in the Arctic. 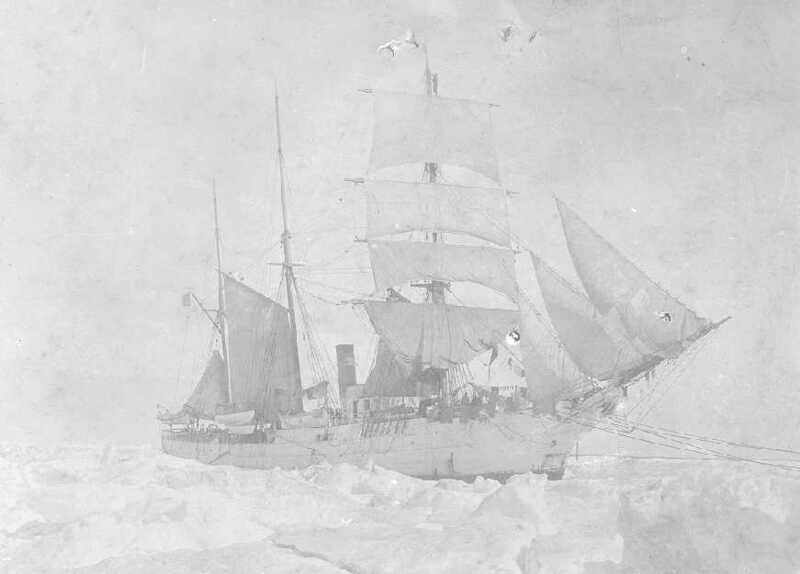 Greely's party was left stranded in the Arctic over the winter of 1883-84. The US Navy organized a fleet consisting of USS Bear, USS Thetis and HMS Alert, who together rescued the survivors of the expedition. 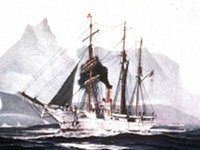 1885 - Transferred to the Revenue Cutter Service of the Treasury Department for service in Alaskan Waters and the Arctic Ocean with the Alaskan Patrol. Bear's first commander was Captain A.A. Fengar, was followed by Captain "Hell Roaring" Mike Healy for the next nine years. Served in Alaskan waters for over 40 years – carrying mail, Government agents and supplies, transporting Federal prisoners from Alaska, serving as a Federal court, carrying out investigations, enforcing the law, surveying Alaskan waters, and providing medical and surgical services to native Alaskans, prospectors, missionaries and whalers etc – duties that are carried out to the present day by Bering Sea Patrols. 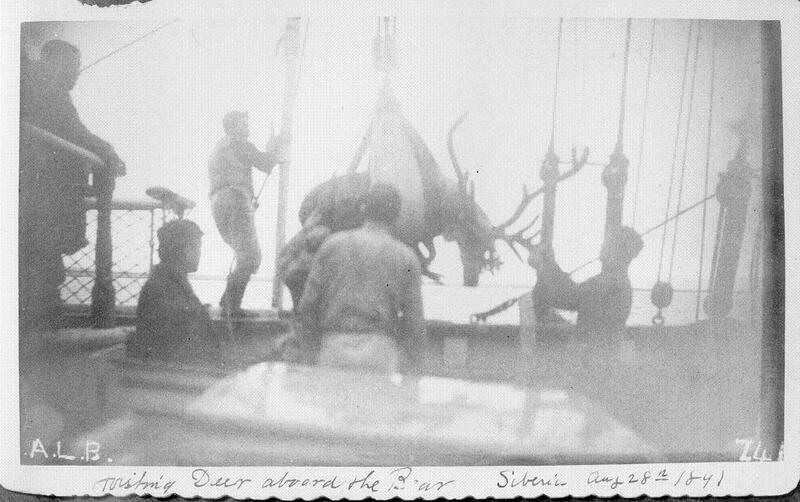 USRC Bear, still commanded by Captain Healy, carried reindeer from Siberia to Alaska to provide food, clothing and transportation for native Alaskans (see image below). 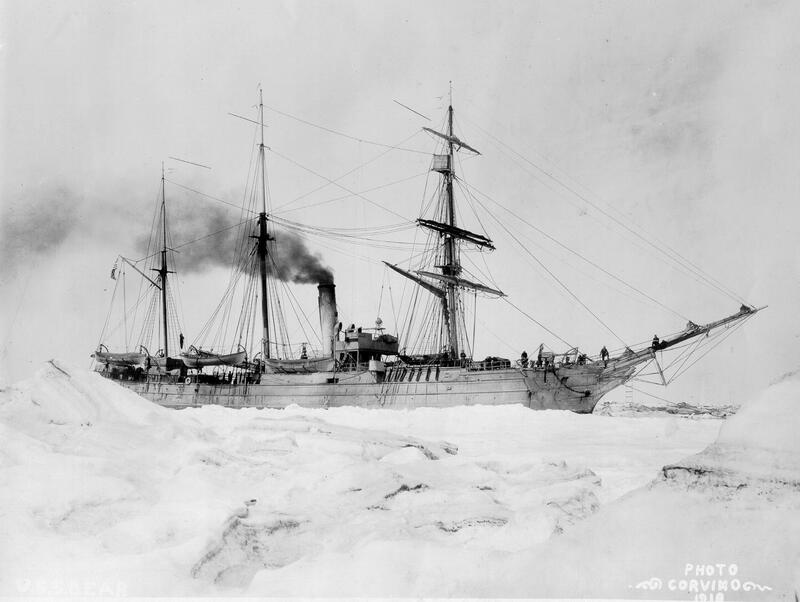 1897 - Bear made the first Arctic voyage during the winter season to rescue some 275 men from eight whaling vessels trapped in the ice off Point Barrow. 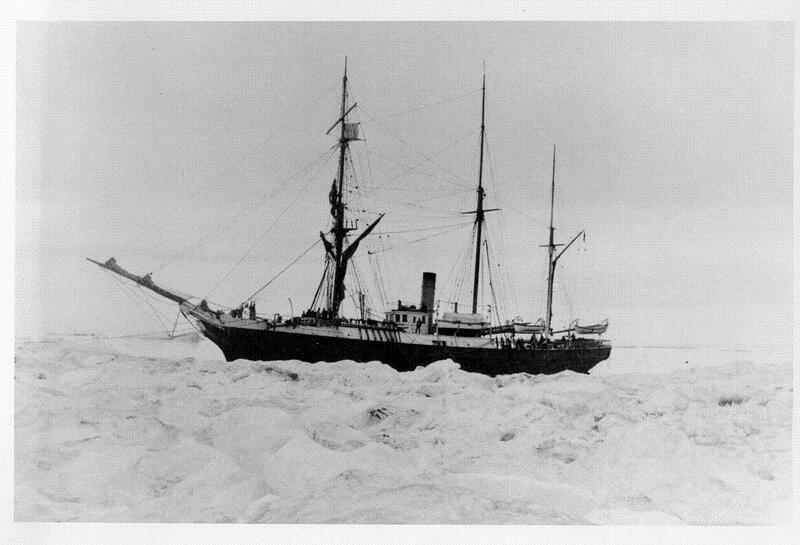 Bear got as far as Cape Nome before the ice stopped her, still 1,600 miles from the whalers. An overland expedition then set out, and collecting 450 of "Healys" reindeer on the way, reached the trapped men three and a half months later in March 1898. 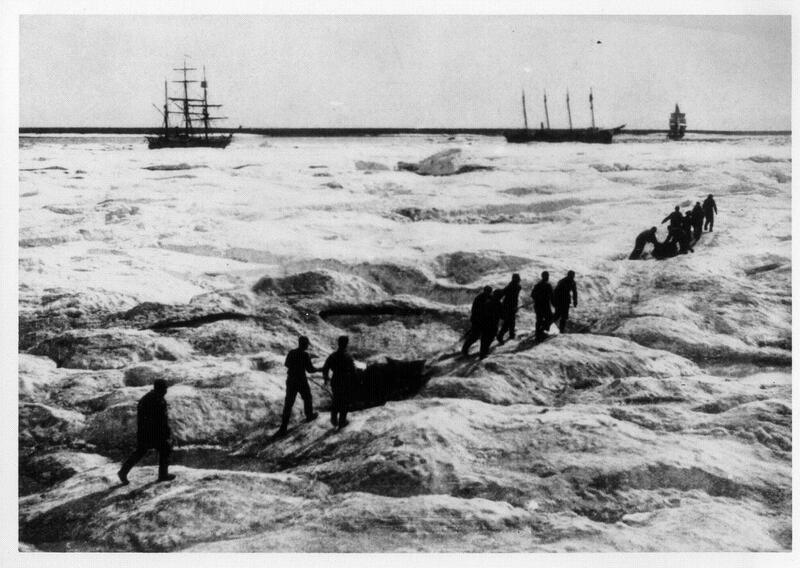 August 1898 - Caught in ice, Point Barrow. 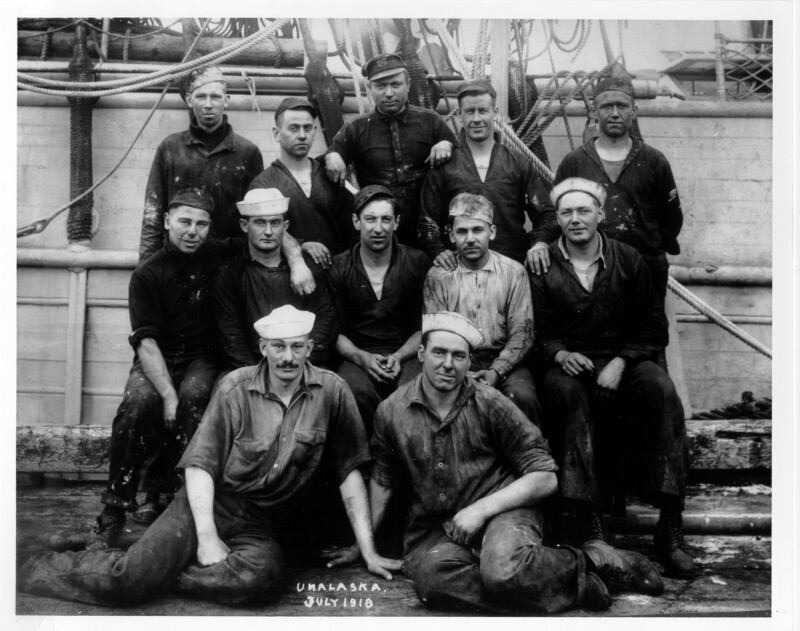 1917/1918 - Served in the US Navy, carrying out routine patrols in Alaskan waters. 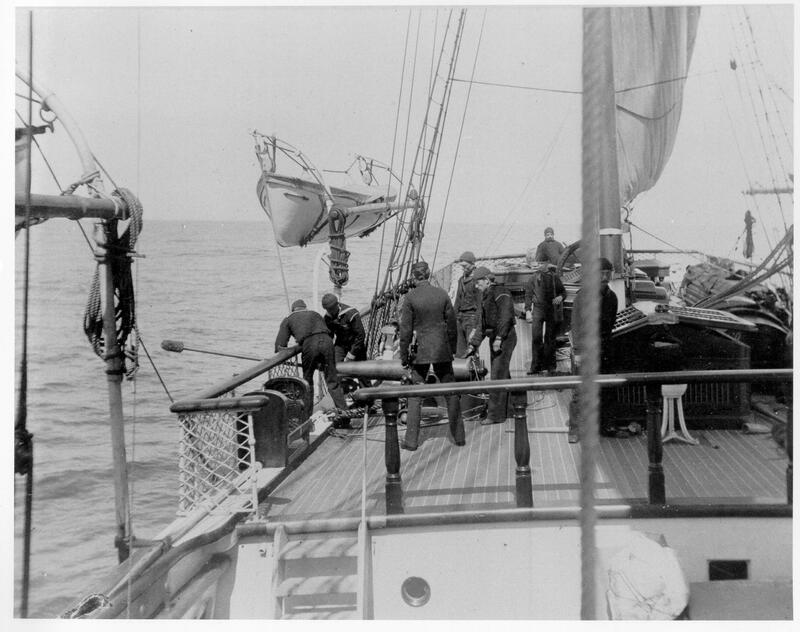 1918-29 - Continued patrols in Alaskan waters. 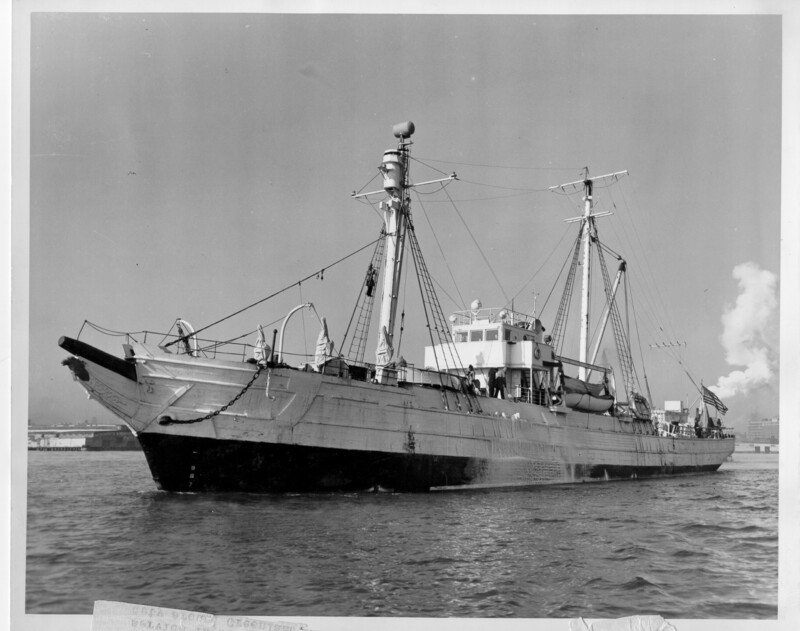 3 May 1929 - Decommissioned by US Coast Guard and turned over to City of Oakland, CA as a museum ship. 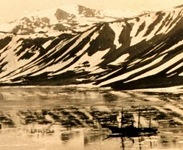 Early 1930's - Purchased by Admiral Richard Byrd, USN, the arctic explorer for $1,050 for his Second Antarctic Expedition. 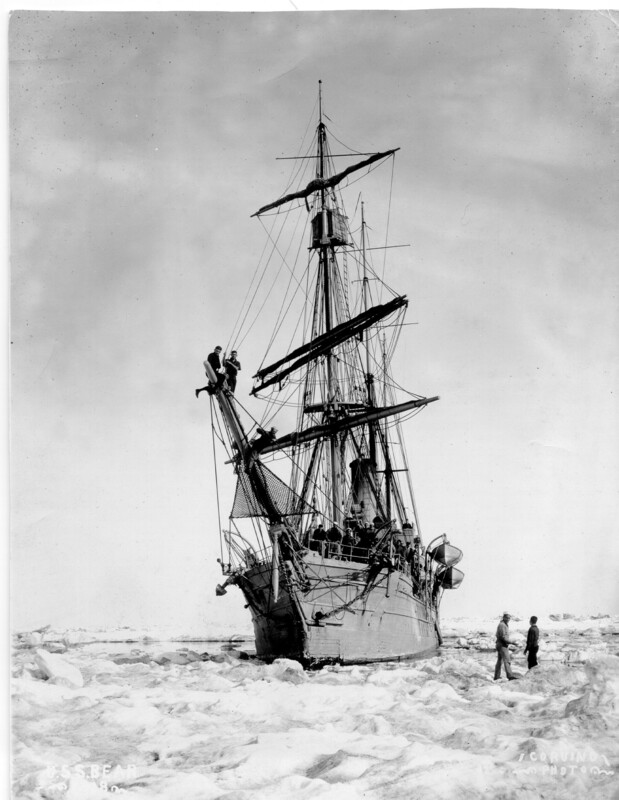 Sailed to Boston in 1932 for overhaul and refit with a volunteer crew, headed for the Antarctic in late 1933 and reached there January 1934. Took part in the 1939-41 US Antarctic Expedition and back in Boston by May 1941. 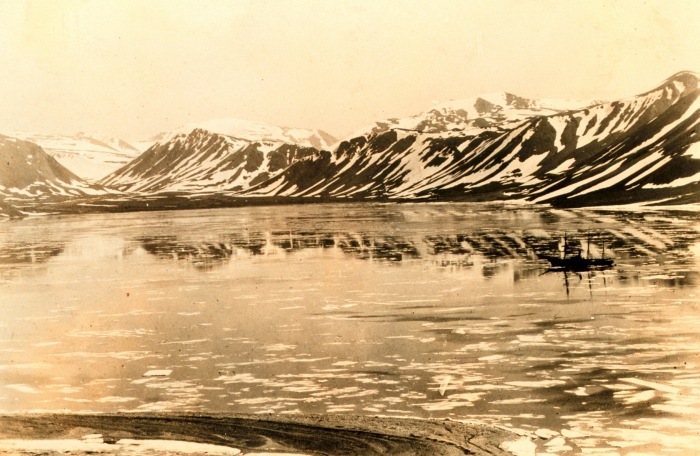 Taken back into naval service in World War 2, served on Greenland patrol. June 1944 - Stricken from Navy, sold in 1948 to Canadian company for conversion back to sealer. The work was not completed, and she was eventually sold to Mr Alfred M Johnston of Pennsylvania for a museum ship and restaurant. 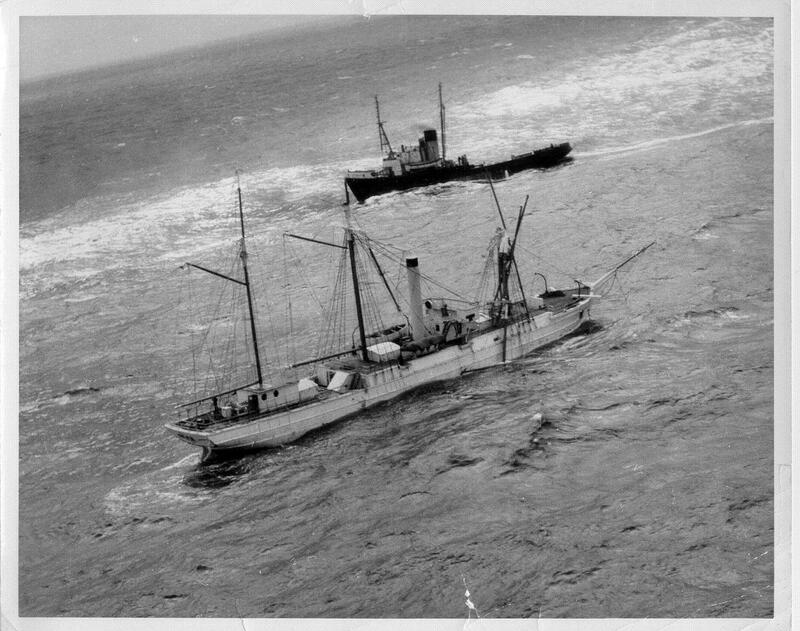 Fate: 19 March 1963 - Under tow by tug Irving Birch for Philadelphia, foundered 90 miles south of Cape Sable, Nova Scotia, 260 miles east of Boston. 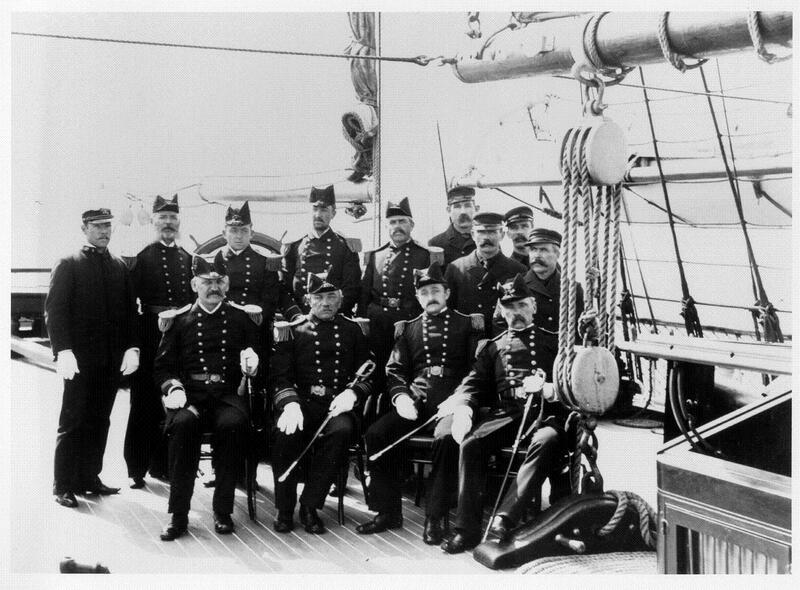 * Standing, from left to right - Dr. Bodkin, Engineer Coffin, Lieutenants Daniels, White, Emery, two unidentified warrant officers, believed standing in front of them Carpenter Cain, Master At Arms Baundy; Sitting - Chief Engineer Schwartz, Captain Healy, Engineer Dorry, Lieutenant Buhner.